Please note: There is no CA. sales tax on Gold and Silver Bullion or Numismatic coins when your invoice totals over $1,500.oo. See me in person for details. Our location in Carson City is closed. Joel will be available, in Carson City, most Sundays & Mondays for buying and selling -if you call with your needs during the week. Is open in Modesto, CA. 10:30 AM till 5:00 PM Tue. - Fri. and 3pm- ish on Sat. North west corner of McHenry and Woodrow Ave. behind Sherwin-Williams Paint and P. Wexfords Irish Pub located at 3313 McHenry. Woodrow is the signal light between Rumble and Standiford. Coin list " half way" updated February 12 th 2008 - TWO YEARS AGO ! Please do not order from the site at this time as most prices have changed. More auctions on eBay soon. The metals market is swinging so wildly we can't update fast enough. The premiums on all metals are insane, depending on what you are after be prepared to spend 15% to 30% over spot for basic bullion items. 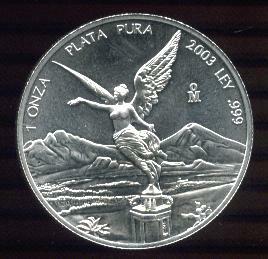 All one ounce and larger silver coins are priced based on silver at $15.00 an ounce. Adjustments will be made for wildly swinging silver prices AND THEY ARE. In Stock Ready to Ship Now. Copyright © 1999 Old Mint Coin & Bullion. All rights reserved. Revised: February 12, 2010 .